Mindy has lost a lot of weight, she is trim and looking fantastic. And her energy seems to be way up too. She’s bouncier and more playful. It seemed like she lost a little bit of her joy when we brought Lexi into her world, but I think she is finally starting to come around. She’s chasing and playing with Lexi more, and she is definitely acting more like her old self (pre Lexi). She’s been playing frisbee with Mike in the yard, and has been having a blast! It’s so nice to see her happier. 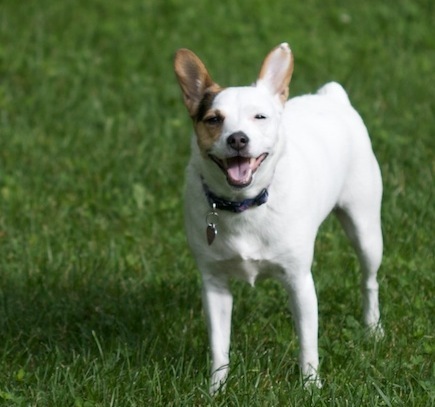 This entry was posted in Mindy, photos, Terrier Behavior and tagged dogs, fun, Lexi, Mindy, photos, Rat Terrier. Bookmark the permalink.